We have reached a significant milestone in our UnitingSA West Lakes project, with the City of Charles Sturt granting Planning Approval for the $50m development. The approval paves the way for us to progress this innovative project at the former Football Park site on West Lakes Boulevard. 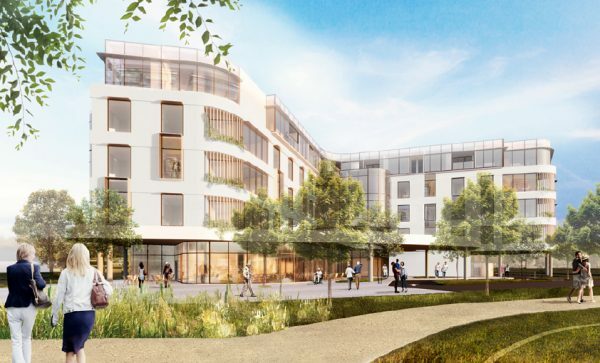 The approved plans include 17 independent living apartments on the top floor, three levels of residential aged care, and a memory support unit to provide additional care for people living with dementia. The ground floor will include shops and services, which will be easily accessible by residents and the broader community. UnitingSA Executive Manager Property & Housing Mark Hayward says it is an exciting step in what will be the biggest capital project ever undertaken by UnitingSA. “The vision for this project is to develop a place which caters for older South Australians as well as the wider community,” Mr Hayward says. “The site is perfectly located at the end of the new main street, with easy access to facilities and transport. We are now finalising the design and expect to commence construction mid-way through 2019. Construction is anticipated to take nearly two years, allowing residents to move into our residential aged care and independent living apartments during 2021. To register interest in UnitingSA West Lakes, phone 8440 2200 or email reception@unitingsa.com.au.